White Glove service makes moving and shipping simple. Using our White Glove service is the simplest way to move or ship your goods. Our professional movers are among the best in the business. Trust TSI to get your items moved or shipped in a timely manner, at affordable rates. How does White Glove service work? With our White Glove service, you can relax while a professional moving crew takes care of everything. Our moving team comes into your home and prepares your furniture-type items for transport. Smaller goods must be boxed. They load everything onto the truck and head off towards your destination. Upon arrival, just tell our moving crew where you want your items placed. They bring everything inside for you. Our White Glove service is the simplest way to move or ship your goods. We highly recommend our White Glove moving and shipping service for your antique and high-value items. Professional movers have the necessary equipment and skills to safely prepare and transport your antiques and valuable goods. Choose one of two services: blanket wrapping or crating. Our blanket wrapping service is economical and requires no crating. Your items are wrapped with special moving blankets to cushion your antique pieces and keep them scratch-free. For especially fragile or high-value pieces we recommend crating. It’s an added safety for your antiques and meets antique shipping insurance guidelines. Moving and shipping costs can add up quickly. Truck rental. Gas. Dollies. Packing materials. Hotel bills. When all is said and done, the cost of moving goods yourself just isn’t worth it. TSI saves you money. Our strong partnerships with carriers allow us to pass our volume discounts onto you. We help you decide on the service you need so you can avoid surprise upcharges. 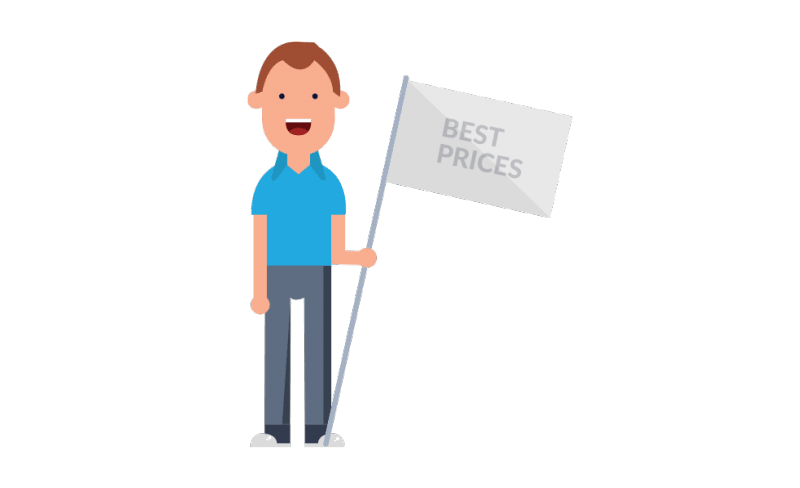 And our customers see significantly lower prices than if they go directly to independent moving and shipping companies. We’ve been in the moving and shipping industry for almost three decades. Every year we help thousands of families and businesses. Let us help you. 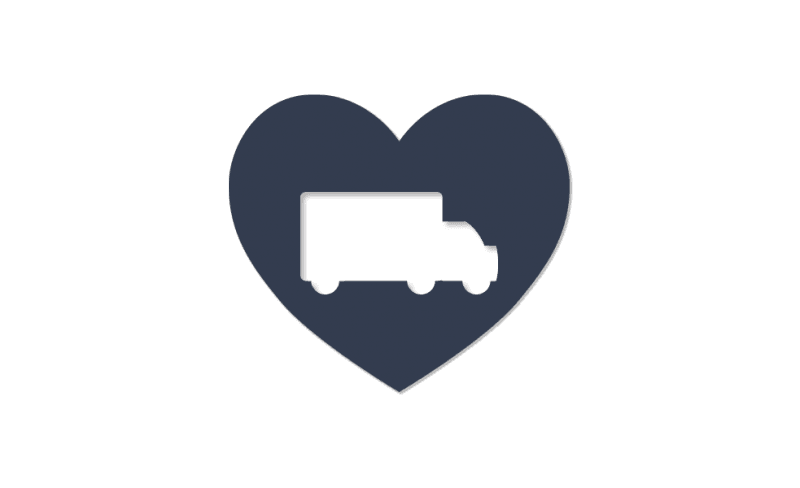 We simplify complicated shipping and moving problems. We pride ourselves on providing unbeatable customer service. Our reps are knowledgeable and courteous. They are here to answer any questions or concerns you may have. We want to help you every step of the way and make your move or shipment hassle-free. From the moment your items are picked up to their timely delivery, you’ll be in the loop. We maintain constant contact with our carriers, so you’ll know exactly where your shipment is at all times. Just another way we help make moving and shipping simple. Whether you need something moved across the state or shipped across the nation, TSI can help you. We can ship to anywhere in the continental US, and do it at rates you can afford. We don’t believe in “one size fits all” moving and shipping plans. What works for one customer may not work for another. That’s why we custom create each plan individually to fit your needs. We can work with almost any timeframe and budget. 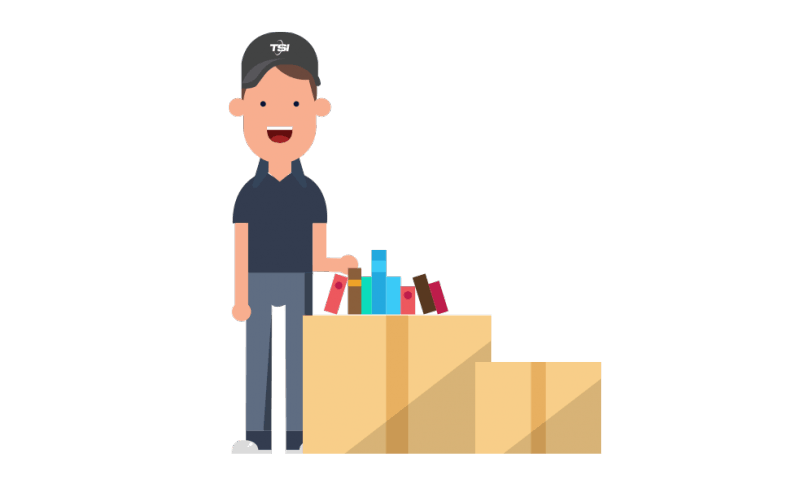 Moving and shipping are easier with TSI by your side. If our White Glove service doesn’t seem right for you, check out our Economy service. I was very satisfied with the customer service. The moving consultant handled by requests and met my moving concerns in a patient, yet timely, and informative way. When I needed to contact him off hours because I live abroad, I was responded to by him quickly or redirected and got my questions answered in a timely, informative and friendly way. Fast and accurate shipping, price and pick up. My antique was packaged professionally and arrived safely. I had a great experience with TSI. The people on the phone were helpful and friendly and the delivery man was very nice. Ready to try our White Glove service? Request a quote now. Or give our moving and shipping experts a call at 1-800-626-1257.